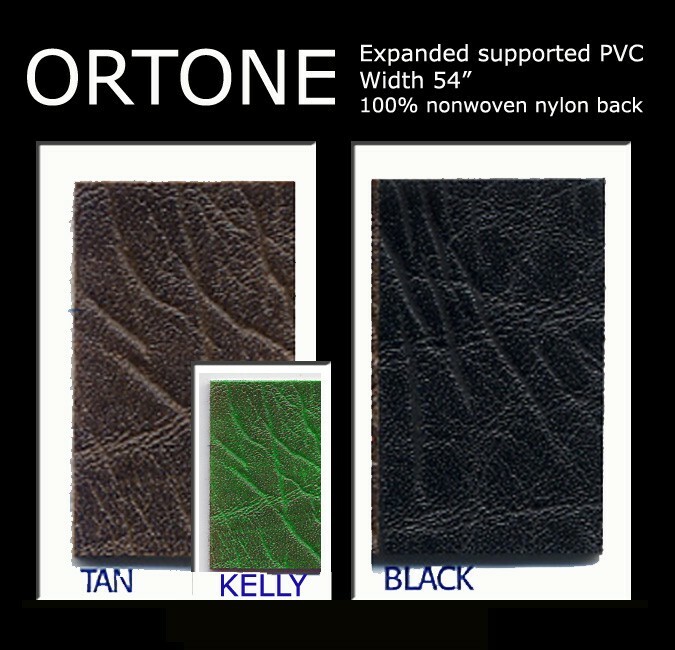 "Ortone" is an expanded vinyl embossed by a unique vacuum process creating a deep, leather grain and supported with a strong nonwoven, nylon backing. It is 54" wide and suitable for upholstery, wall-covering, crafts as well as all sewn items. 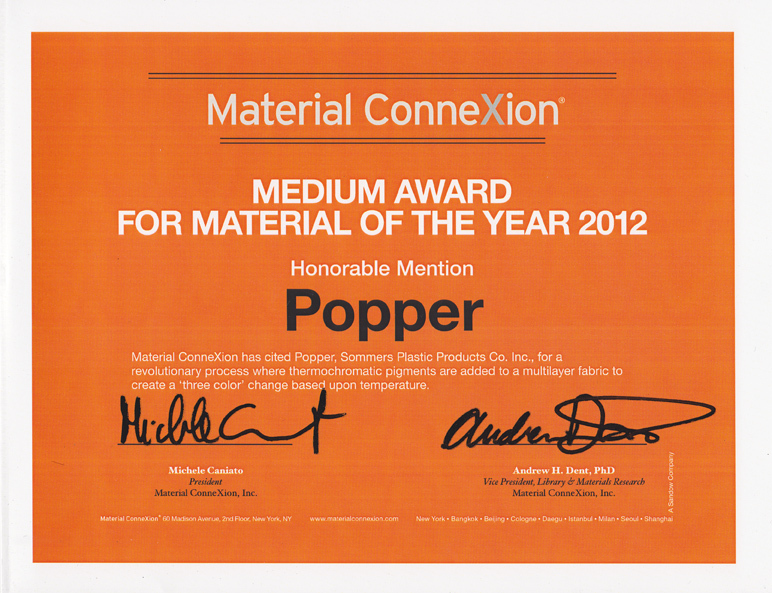 "Ortone" will meet or exceed all ACT Standards for upholstery.